The Dales Trail took place on a fine Sunday in September, this year the members decided to adopt the Pancreatic Cancer UK Charity for our fundraising in memory of Gordon Bulmer. 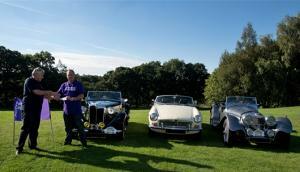 We were pleased that Gordon’s son, Stuart, brought along his dad’s beloved MG and completed the run in it. Members gathered at Romanby golf club from 10.00 am for a staggered 10.30 start. 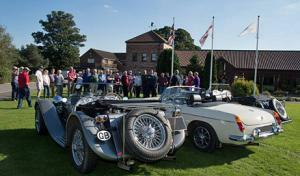 Before the start members viewed the cars on display and enjoyed a coffee in the club house. Sheila Mason’s granddaughter Lucy ran a very successful book stall and raised £58 for the charity. 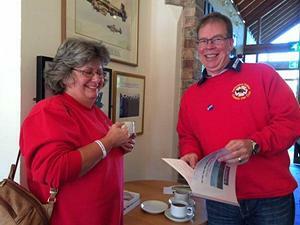 We held a raffle and raised a very respectable £178, thanks to members for their donation of prizes for the raffle. Stuart Bulmer and his wife Lucy were the first to set off at 10.30am. The other 35 cars set off at 5 minute intervals. 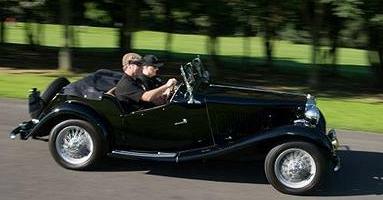 It was a lovely mild day and I believe every car that had a soft top set off with the roof down. The route headed left out of the golf club towards Bedale then up to Hackforth and on to Crakehall and Leyburn. We then drove to West Burton where the going got tough! After West Burton the roads get a bit narrow and very steep. Half way up the hill we met a car club coming the other way. I am not sure what car club they were but there were a lot of Subaru Imprezas, Fiesta RSs Astra’s with low suspension and big exhausts and Japanese cars I did not recognise. One thing I did notice was that the average age of the drivers was a lot lower than ours! The views were magnificent as we drove over Bishopdale and down into Buckden, a number of the crews had a picnic in the National Trust car park at Buckden and enjoyed the peaceful views over the valley. Some crews carried on following the river Wharfe up Deepdale and over the top to Hawes where they stopped for lunch at the Wensleydale Creameries. This is where disaster struck me and my Dad, our MGB started to cough and splutter, it’s get up and go went!! The gear selector also started to jam. With two issues we decided to keep going through Hawes and abandon the rally. 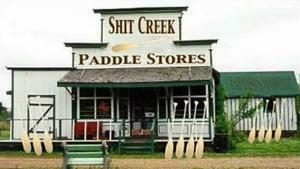 Fortunately our paddle was a phone signal and we were able to ring the AA. The lady controller said they would be there at 3.55 and as the problem sounded terminal they would send a rescue truck. It was pleasant waiting to be rescued; the sun was shining in the Dales, the locals came out for a chat and there were several other car clubs out that day so there were classic cars passing in each direction. Our club did not pass us as their route had turned off further back up the road. The rescue truck arrived at 3.56, one minute behind schedule, not bad. 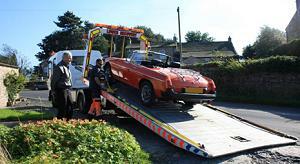 Our MG would not move as predicted so it was loaded onto a transporter and brought home. Our MG has never travelled from Aysgarth to home as fast as it did that day on the back of that transporter, Dad was worried the car was still on the back, on our arrival home he jumped out of the cab to check it was still there! We had been at home for about an hour and were having a cup of tea when the phone went and the voice on the other end said “Hi this is Paul from the AA I am in Aysgarth but cannot find you, where are you?” My surprised reply was “we are at home having a cup of tea!” his response was “how did you get there?” I explained “the AA brought us home.” “Oh something has gone wrong with our system, I have been dispatched because you could not be recovered, as long as you are home and safe I will sort it out at this end.” It is good to know the AA care so much and can be too efficient! Back to the Dales Trail, the route had turned off the Hawes to Aysgarth road and headed for Bolton Castle, where Mary Queen of Scots was incarcerated for a while in July 1568. Of her retinue of 51 knights, servants and ladies-in-waiting only 30 of her men and six ladies-in-waiting were able to stay in the castle, the rest taking lodgings nearby. 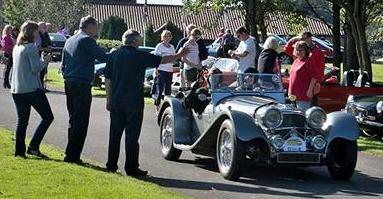 The route then wended its way back to Romanby Golf Club for a cup of tea and the presentation ceremony. All of which was missed by me and Dad. However our Chairman and Secretary were on hand to organise matters and our official photographer Andy Ellis took the pictures. We raised £862 for the Pancreatic Charity, thank you to all members for their generosity particularly Tony Mason’s brother who sent a donation but did not go on the run. Thanks again to Lucy for running a very successful book stall. Our Chairman Dave Simpson presented the Cheque to the charity and gave the award to the crew that had travelled the furthest to take part in the Dales Trail. This year the award went to Shaun Parkin who had travelled from Gainsborough which is a distance of some 90 miles, second place went to Mervin Hayward who travelled from Scunthorpe which is about 87 miles, a close run thing. 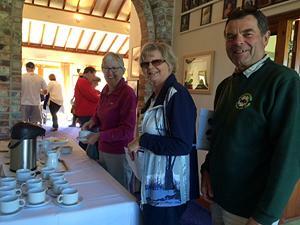 Finally thanks to Dave Simpson (chairman), Sheila Mason (Secretary) and their spouses who organised another successful Dales Trail.